The environmental movement of the latter half of the 20th century is dying. And as a product and member of that movement, I say, not a minute too soon. Don’t get me wrong. We have a lot for which to thank the green movement that arose in force during the Sixties. Without towering achievements like the Clean Water Act, Clean Air Act, Safe Drinking Water Act, and countless other federal, state and local reinings-in of pollution, waste, and annihilation of habitat supporting biodiversity, our world would be vastly worse off. Unfortunately, like so much that arose out of the Sixties, the era of environmental activism that is now passing away was based more on romantic notions than on practical and scientific realities. And now that time has moved on and younger generations do not, by and large, share those same romantic notions, we are threatened with a future in which protection and stewardship of the environment will dwindle as public support is lost. Though there were certainly scientific reasons for the concerns being expressed by such Boomer-era environmental drivers as Rachel Carson and the David Brower-era Sierra Club, their articulated arguments were not couched in those terms. They were emotional appeals. Those coffee-table books featuring magnificent, endangered landscapes and adorable or noble charismatic species struck a chord in a Cold War public increasingly aware of the dark side of advancing technological progress, and painted a Muir-style romantic image of “Nature” as Out There: in the wild lands, far from humans, precious and endangered. As a result, millions of acres were protected as federal and state lands and parks. Nature-lovers flocked to hike, backpack, raft and otherwise enjoy these wild places. There were those who loved and romanticized Nature prior to the 1960s, of course. But they were few, and viewed as cranks. Their signature, remarkable accomplishment was the invention of the national park, for which we must be ever grateful. But they were not a mass movement until a poetic idea of the Earth as a beloved, unified entity–what some claimed is even a single, intelligent organism–seized the imaginations of young people in reaction against their parents’ technologically enthusiastic, militaristic consumer society in the late 1960s, surging into the public imagination with the first full-Earth pictures relayed back by Apollo 8. While there is certainly plenty of truth to describing wild lands as magnificent and rich with the fabric of life, it also had the effect of defining “the environment” as Somewhere Out There…rather than here, around us, all the time. 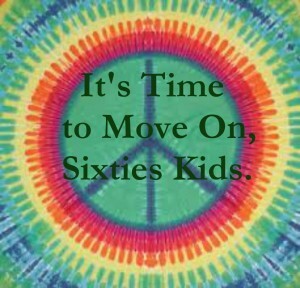 By falling in line with the Sixties’ counterculture’s anti-societal ethos and evoking a romantic idea of Simpler Olden Times When Humans Lived More In Harmony With The Earth (particularly, lionizing with grossly oversimplified stereotypes the lifeways of native peoples) the environmental movement that rose to effective power at the end of the 1960s was the age-old-story of Man Against Nature, but rooting for the other team. It was the romantic mentality of the “back-to-the-landers”, rendered as a social movement. Exacerbating this problem for us today is that one of the primary cultural legacies of the Sixties has been a wholesale cultural turning away from reason and science, suspiciously viewing these as the modalities and tools of authoritarian institutions, corporate greed, and engineered destruction. As a result, we have seen both on the left and right a tremendous surge in superstition, confirmation bias, junk, fringe- and pseudoscience accepted as fact, and paranoid conspiracy theories…be they about President Obama’s birth certificate, or the mortal dangers of water fluoridation. Now, this is not to say that the modern environmental movement does not include many who are scientifically educated and literate, and who use the best available information in crafting proposed actions and policies. But this group tends to operate within institutions like established wildlife habitat restoration and land conservation organizations, academic institutions and policy think tanks. These informed and careful experts are often out of step, however, and even sometimes attacked by less educated grassroots activists, because they do not provide support for these activists’ more extreme theories. 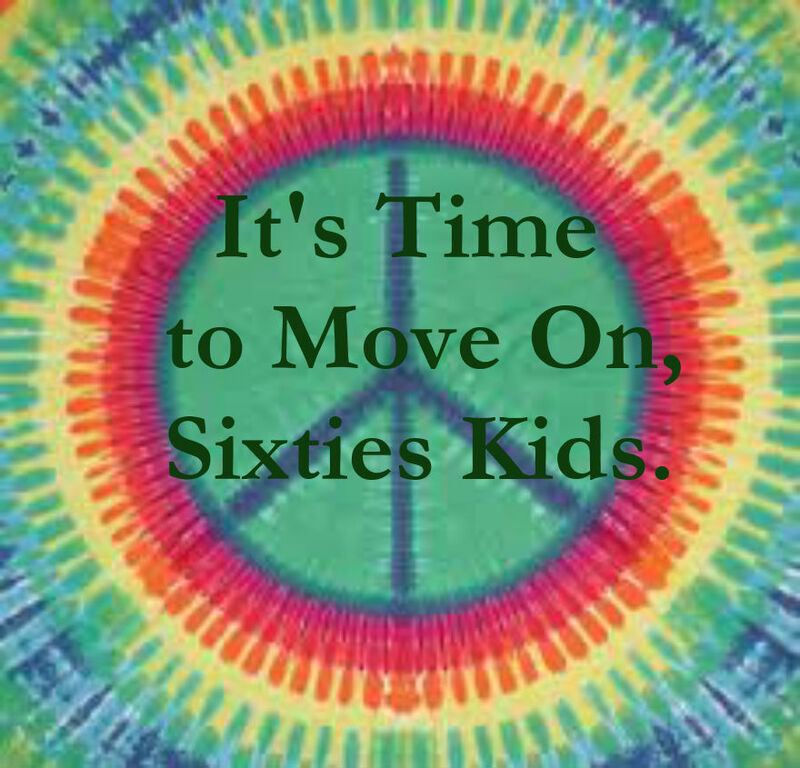 The True Believers of the Sixties are fading away. Muir/Thoreau/Abbey-style Nature romantics who frame every proposal they don’t like as an environmental disaster belong to a generation now averaging over 60 years old, and their values have not penetrated to the youth of today. If theirs is the modality of operation and the mentality we continue to call “environmentalism”, environmentalism will die as a significant political and social movement. Today’s generation does not view technology with suspicion. It spends most of its life engaging with it and interacting through it. Whether or not we want to face it, today’s youth feels little motivation to put on a backpack and hit the trail. Attendance at state and national parks has plummeted, and when you look at the number of people going to the back country, it is even lower. Those who do are overwhelmingly older, rather than younger. The transition isn’t just in relation to technology. It’s demographic: a whole lot more of today’s young people come from backgrounds other than the white middle class suburbia from which most Boomer-generation environmentalists emerged. That’s just a fact. Rather than beating the dead horse of values the young mostly do not share, if we want advocacy for the environment to persist it will have to become relevant to them. Environmentalism must evolve, or it will die. Central to that evolution must be heightened emphasis on ecosystem services such as integrity of food webs and biodiversity, carbon sequestration, watershed function and other operations of the natural world which have a direct nexus with human needs, as opposed to wilderness preservation in remote areas. We all need to eat. We all need to breathe. We can still advocate for preserving wilderness from the standpoint of watershed functions, carbon sequestration, biodiversity, etc., but if our talk continues to be rooted in Muir/Brower “glory of Nature” rhetoric and the expectation we can lure popular support with the prospect of wilderness recreation opportunities that fewer and fewer of us are seeking, we’re going nowhere. And, fellow greenies, we also have to stop indulging or participating in so-called “environmentalism” that is really just self-interested obstructionism. We need to call out the difference when opponents of change (and it is always opponents, not proponents, isn’t it?) use environmental protection laws as a cudgel. We need to distance ourselves from fringe- and pseudoscience. We need to accept that all actions have impacts, and that this alone is not an argument never to do anything. The question is what will be impacted, and the significance of that impact. If the debate at hand is about which store goes into an already-existing mall, it’s up to us to point out that there may be reasons to oppose the project, but they are not environmental reasons. Environmental reasons are rooted in air, water and soil quality; biodiversity; minimizing waste; efficient use of resources such as energy and water, and moving toward lower-impact ways of sustaining ourselves. That’s all. Fighting a multi-family in-fill housing project in your neighborhood when what you really care about is parking convenience and the prospect that (gasp!) some brown people might try to live near you isn’t environmentalism. Opposing a more natural flow regime in managing a dam and claiming your concern is for fish and wildlife–when what you’re really concerned about is tourism-related business downstream–isn’t environmentalism. In my home town a few years ago, a specific plan–mind you, just a plan, not a project–was proposed which would have set standards for developing mixed-use, higher density, transit and pedestrian-friendly projects in an area adjacent to the downtown, on lands currently occupied by decaying light industrial buildings. The town went berserk. And self-styled “environmentalists” killed the plan. Now, by no stretch of the imagination was theirs an effort in defense of or to augment the natural world. The existing policies applying to the area allowed more filling of nearby wetlands than did the proposed ones. Residents of the housing units would have been within walking distance of three grocery stores, a drug store, a farmers market, a post office, a movie theater, shops and restaurants and the town’s hub for regional transit. They would have been able to live a nearly car-free lifestyle. Everything about the plan was the kind of thing environmentalists around here say they support. But only, apparently, if it is built somewhere else. We have to stop this, folks. It’s shameful. Because what we’re showing the next generation is an “environmentalism” that lies about its real motivations while claiming to speak for the Earth in romantic, unreasonable, technophobic and often hysterically irrational terms. There are projects well worth opposing. There are areas that should be protected rather than being allowed to intensify in land use. Zoning, land use, water and transportation planning and enforcement are good things. But they are abused every bit as much when they are twisted to prevent change out of knee-jerk, reactionary opposition to anything new as they are when policy makers rubber-stamp exceptions to them to allow destructive activities to go forward. We environmentalists were among the first to recognize the very serious problems homo sapiens was creating by fouling its nest. We bear a responsibility to be problem-solvers rather than reactionaries, to accept that some of our comforts are probably going to have to be let go for the greater good. Environmentalism can no longer be a luxury of the privileged, nor a movement primarily focused on defending that luxury. We have to make caring about the biosphere a practical, common-good ethos that includes a place for those who are never going to go backpacking, couldn’t care less whether there continue to be polar bears, and are not afraid of cell phone towers. We are in the Earth and of the Earth. Our task is to figure out how to keep the biosphere livable for humanity–all of humanity–and for as rich a diversity of organisms as is practically possible. We must be thoughtful, well-informed, realistic, and embrace positive change. And we must distance ourselves from those who do not meet that standard but claim our mantle. We must evolve, before we die. As I hope I’ve said in other settings, a clearly articulated paradigm shift, who’s time, hopefully has come. I do have one reservation: the fact that the current, younger (than me) generation hears not the call of the wild, does not, necessarily, mean that following generations will fail to do so. I think there is something to be said for the “seven generations” mind set, in which we are stewards of the wild places- just in case a future generation returns to its Romantic roots. Oh, it isn’t that there won’t be *any* whose nexus with the movement is that romantic motivation–it’s just that this is definitely going to be less of an automatically assumable position. It’s good news, really: what we most need to make cleaner, more efficient, more livable and vibrant are the places where we live. That’s not to the exclusion of protecting far-off empty places, but it speaks to an understanding of “the environment” that is Here, rather than Over There. Many young people are jumping into the permaculture movement, which seems like environmentalism with an agricultural twist. That’s increasing very fast. I guess permaculture might be more oriented to bringing nature home and local, than going out to find it.